HAMILTON, Bermuda—BibleMesh is pleased to announce the launch of God’s Design for Man & Woman, an online course from Andreas and Margaret Kӧstenberger explaining the Bible’s teaching about gender roles and applying it to the modern world. In 10 instructional units with more than 30 videos, students will learn that God created man and woman with equally significant yet distinct and complementary roles in the church and the family. The Kӧstenbergers have been married for 25 years and are the parents of four children. 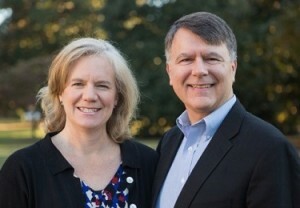 He serves as senior research professor of New Testament and biblical theology at Southeastern Baptist Theological Seminary in Wake Forest, North Carolina, where Margaret is adjunct professor of women’s studies. A survey of Scripture’s teaching on gender from Genesis to Revelation rather than a focus only on debated passages. Instructional videos featuring the Kӧstenbergers’ discussing key issues from their perspectives as a husband and wife. Opportunities for reflection, interaction with the material, and assessment. A church curriculum that can be used in conferences or small groups with a facilitator, video component, and discussion questions. 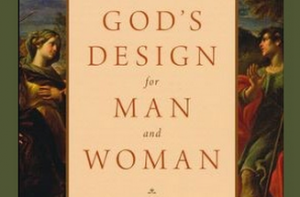 Available at www.BibleMesh.com and www.biblicalfoundations.org, God’s Design for Man & Woman is based on the Kӧstenbergers’ book of the same title published by Crossway. HAMILTON, Bermuda—BibleMesh and Christianity Explored Ministries have partnered to launch an online course explaining the basics of living a joyful Christian life. Discipleship Explored is based on the course of the same name published by The Good Book Company and takes students on an eight-stage inductive journey through the book of Philippians. The course answers questions such as: How can we be confident of our salvation? Who is the Holy Spirit and what does He do? Why is church so important? Why read the Bible? What is righteousness and how do we get it? How can we know Jesus better? What difference does prayer make? And how can we be content in all circumstances, even when suffering? “Though a church-based course is ideal, we recognize that they’re not always practical, and for various reasons: erratic schedules, personal health factors, not to mention the difficulties faced by isolated believers living in countries where churches are being shut down or driven underground,” said Barry Cooper, author of Discipleship Explored and director of product development at Christianity Explored Ministries. “That’s why Discipleship Explored Online has been developed. Each of the eight stages of Discipleship Explored features an introductory Bible study, a 10-­15 minute video, targeted questions to help students apply what they have learned, and follow-­up studies that explore other biblical passages on the same theme. 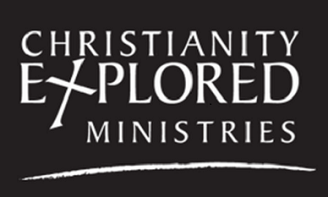 Christianity Explored Ministries was founded by Rico Tice and Barry Cooper under the ministry of John Stott at All Souls Church, Langham Place in Central London. Emmanuel and Camille Kampouris began BibleMesh to address biblical illiteracy worldwide. Emmanuel Kampouris is the retired chairman, CEO, and president of American Standard Companies, Inc. Camille Kampouris is an educator and performer most known for her work with The Jim Henson Company and Sesame Street. For more information about BibleMesh or Christianity Explored Ministries, visit biblemesh.com. (Morristown, NJ) – Kairos Journal and BibleMesh is pleased to announce a new partnership with HarperCollins Christian Publishing. In this agreement, HarperCollins Christian Publishing will utilize content from these two online resources to create multiple study Bibles, using various translations. Kairos Journal and BibleMesh are internationally known sources for theological content that promotes biblical understanding and Christian discipleship. Kairos Journal launched in 2000 to equip pastors and church leaders to restore the prophetic voice of the church. BibleMesh launched in 2010 to offer high-quality courses in a cutting-edge online learning environment. Emmanuel and Camille Kampouris, founders of Kairos Journal and BibleMesh, began these non-profit organizations to address biblical illiteracy worldwide. Emmanuel Kampouris is the retired chairman, CEO, and president of American Standard Companies, Inc. Camille Kampouris is an educator and performer most known for her work with The Jim Henson Company and Sesame Street. The first study Bible to be published by Zondervan using the content from BibleMesh will release in 2017 followed by a second Bible using the Kairos Journal content. Additional resources in multiple translations will follow. In addition to partnering in Bible publishing, HarperCollins Christian Publishing, BibleMesh, and Kairos Journal anticipate expanded opportunities for collaborative work. For more information about Kairos Journal, visit kairosjournal.org; for BibleMesh, visit biblemesh.com; for HarperCollins Christian Publishing visit HarperCollinsChristian.com.